I’m an East Vancouver boy, through and through. I’ve lived here since 1991, and I can’t imagine living anywhere else. 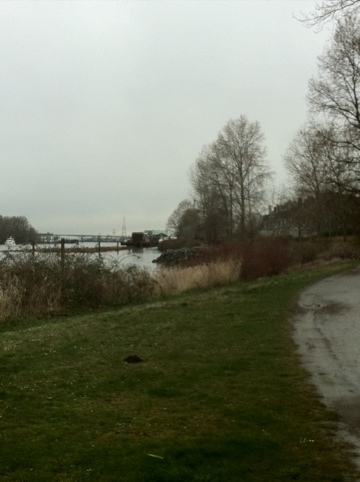 After attending the latest #EastVanLove tweetup, I thought about my running in East Vancouver, particularly the long runs. Even within those, I’m thinking of the really long runs that are at least 20 km long. For those runs that start from and finish near my home, most of them extend beyond what’s considered East Vancouver. But I hadn’t thought about creating a long run entirely within East Vancouver. This route, which I ran this weekend, is almost 30 km, and is a decent cross-section of the entire Eastside. I started here, at Crab Park. From here, I made my way along the industrial area and eventually on to Commercial Drive. It was nice to see the produce shops setting up and resisted the temptation to partake some coffee from many of the caffeine dens that line the Drive. 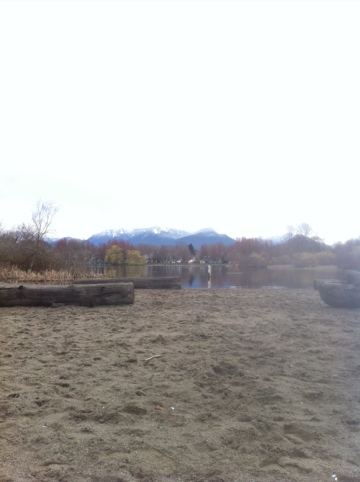 After 8 kilometres, I ended up here at one of my favourite running places, John Hendry Park and Trout Lake. I also ran next to the SkyTrain line, which itself was built over the route of the old interurbans that went from Vancouver to New Westminster and beyond. And after passing through Collingwood, Champlain Heights, and Everett Crowley Park, I made my way down to the riverfront. This is as far from Crab Park as you can get and still be in East Vancouver. This one’s a real revelation, as I discovered there is a riverside trail for about 3 km. I’d previously run on a bike route that was placed further away from the river. I finished my Eastside tour by going through the Punjabi Market neighbourhood, Mountain View Cemetery, and finishing along Main Street to where it meets with Kingsway. 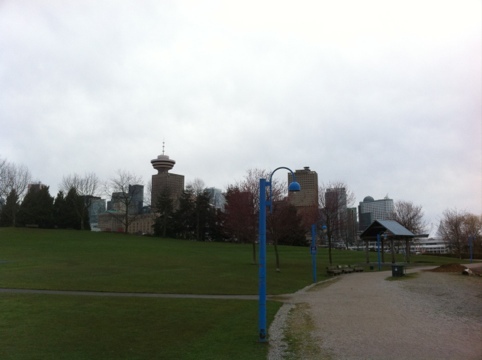 Running this made me realize how diverse East Vancouver is in terms of running terrain. It may not have the uninterrupted trails of the seawall, but for long runs, there is a lot to see. I’ll be glad to give a tour!